Hello loves! I apologize for the lack of posts, but I promise to start posting more, especially with the holiday season coming up! Everyone knows that basic black booties are a closet staple, but it's hard to find one for a good price that is also of good quality. Today I want to share with you this amazing steal that I found on ASOS. I found these Monki black faux leather booties for a mere $32. Of course I could not resist. I am a true 5.5 in women's, but had to order a 6 because there were no half sizes. While it is a bit roomy in the front and on the sides, it does not make my feet look awkwardly wide. I did have to break them in a bit because of the high front ankle, but that's expected from boots of this style. The leather gets scuffed easily, which I am not too crazy about since I've only worn it once and I have a few scratches already. However, I absolutely love the elastic stretch in the back for a fun twist on the classic Chelsea boot and the thick soles because I tend to eat right through the heels of my shoes. Overall, I would give these boots 3.5/5 stars. Update: I've been informed that these boots are now $72. I am not sure of the sudden price change since there was no mention of a sale when I bought them. However I do agree that these booties are a closet staple, so if you're willing to dish out the money I do recommend them. Black booties are a stable item in my closet. I can't live without them and I own so many different pairs! 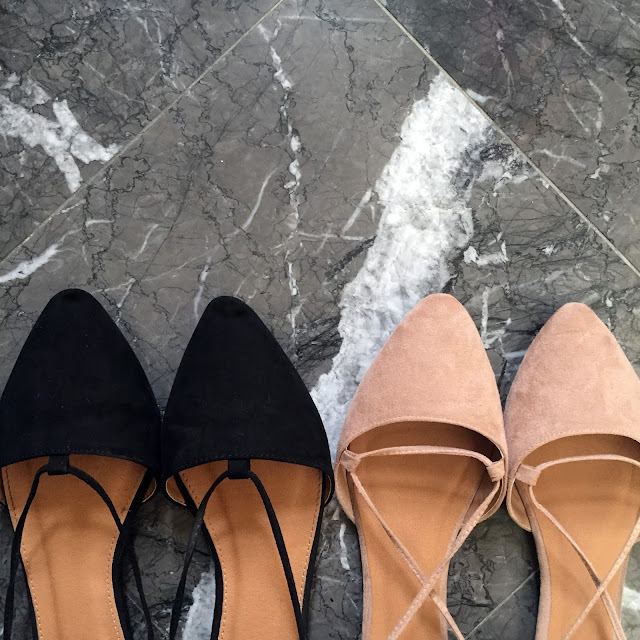 You can never go wrong with some basic black booties!